This is a ring worn by Canadian trained engineers and it is called Iron Ring. It reminds them of their duties. Engineers, Iron Ring to remind them of their duties. It is worn by Canadian Engineers. 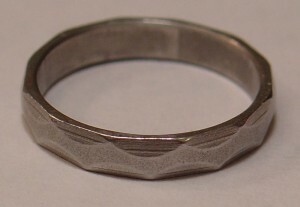 It is called Iron ring/Steel ring.